Xiaochi is a periodic column devoted to short news items and links. Xiaochi (小吃) is the Chinese word for snacks. This happened back in September, 2017, but I haven’t seen it mentioned anywhere. 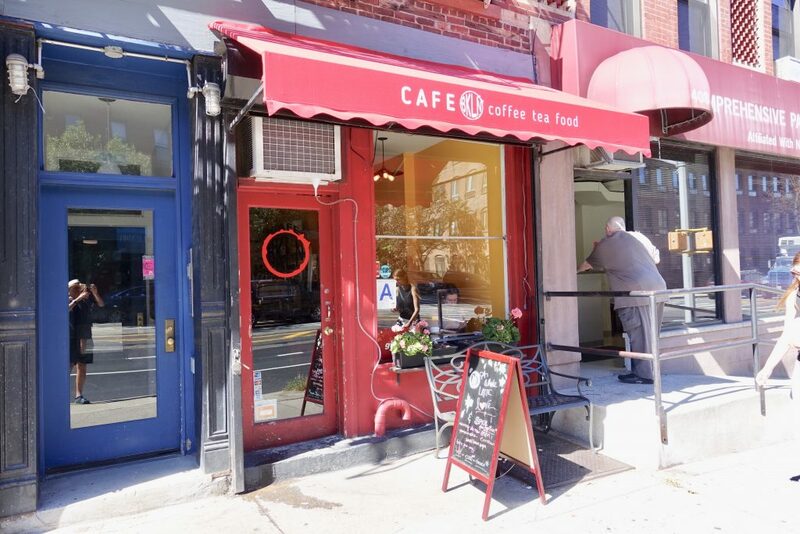 The former partners of Espresso 77 have split, with one owner retaining the venerable Jackson Heights location and the other taking ownership of the South Slope location under the name Cafe Bkln. All remains the same including Gimme! as their coffee roaster. Although I wasn’t a fan of their dark roasted coffee, I miss the bright, beautifully-designed space of the former occupants, Cafe De Luxe. 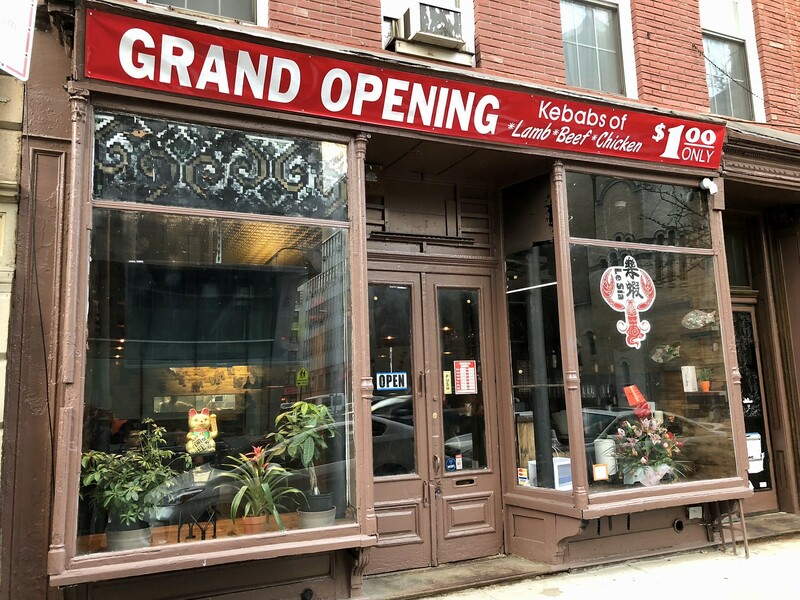 Chinese restaurants continue to flood into Manhattan, especially the East Village, and I’ve made it to a good number of them over the last few months. 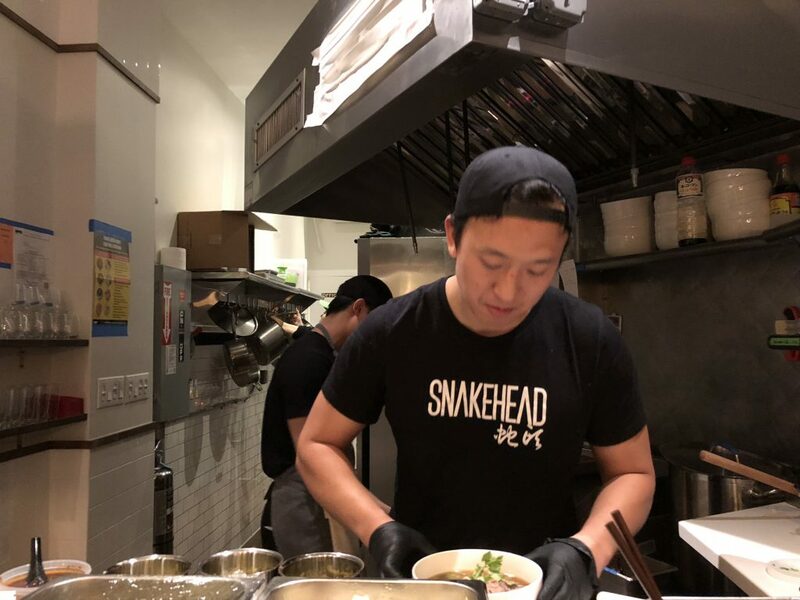 With a combination of luck and judicious planning, a friend and I managed to snag two counter seats on Ho Foods‘ debut night for what turned out to be the best Taiwanese Beef Noodles I’ve had in New York City. 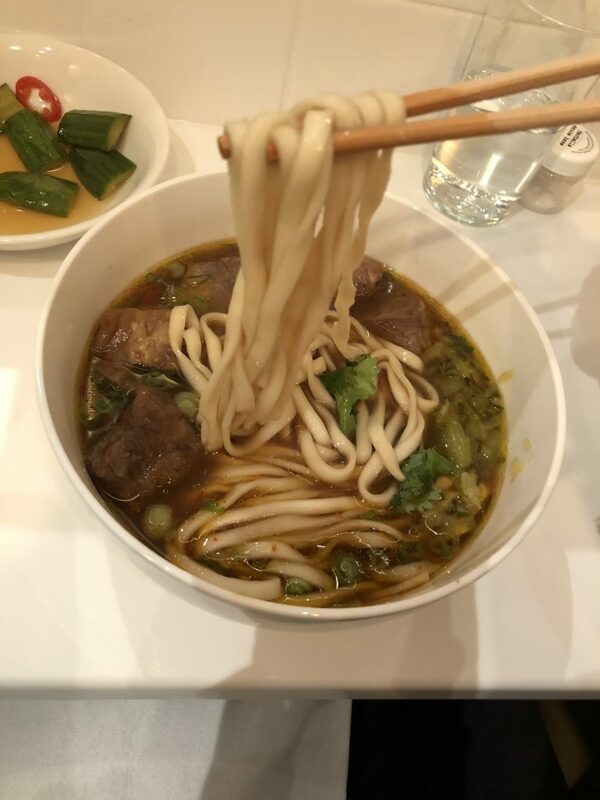 It didn’t quite match my Taipei faves, but I would recommend anyone to try their deep, balanced, flavorful beef noodle soup; tendon is a good option. Two I haven’t made it to yet are Le Sia (乐虾), an attractive Chinese skewer restaurant that recently opened on E 7th St which faces (albeit separated by the Cooper Union building) another just-opened spot, Meet Fresh (鮮芋仙), a Taiwanese dessert chain, on the corner of E 6th St and Bowery. I tried to go a couple of days ago but the line was 50 people deep according to an intelligence source, so I think I’ll wait for the dust to settle, à la Tim Ho Wan.